This section will discuss a variety of ways you can best utilize Blood Sugar Optimizer™ for maximum benefits and results. Please also read the below "cycle" information below, as we have designed different usage options, to best suit your specific needs. If you are a first time user of Blood Sugar Optimizer™, you should first start off at a very low dose the first 2-3 days, simply to see how your body reacts. What is a "little" for some people, may be a lot for others and vice/versa. Start low, test only 1 or 2 capsules at a time and if you feel fine, then go ahead and begin using the higher recommended dosages found below, so you can see and feel the maximum benefits. When trying any new supplement for the first time, you should always FIRST try a lower dosage to see how your body reacts. As a dietary supplement, take 1-2 pills, 3x daily with 1 glass of water (preferably 10-15 minutes before a meal). Ideally, you would use Blood Sugar Optimizer with your major meals, 3x daily -- such as breakfast, lunch and dinner. Meals that contain carbohydrates and sugars. At first, try lower dosages and see how you react. If the desired results aren't achieved, then increase the dose until you achieve healthier blood sugar levels. Foods that contain higher amounts of carbohydrates, would require a higher dose of Blood Sugar Optimizer. NOTE: Too high of a dose may result in hypoglycemia (low blood sugar). Like everything in life, each of us are very different. What is "too much" for one person, is too little for another. Maybe one beer gets you drunk, while a friend requires an entire six-pack to feel a "buzz". With that said, some people also require "more" food or nutrients to sustain our body type, while others just get fat. If your genetics dictate a naturally high glucose levels, or you don't metabolize carbohydrates or sugars well, then you may want to use a higher dosage of Blood Sugar Optimizer™ to achieve the results you are looking for. Similar to a prescription drug that comes in different milligram strengths, you may also require a higher dose of Blood Sugar Optimizer™. If you have a family history of diabetes or elevated glucose levels ... Or you would like to simply lose weight, have more energy and be healthier, then you may want to start using Blood Sugar Optimizer™ daily, similar to a multi-vitamin to help avoid future problems and help maintain healthy blood sugar levels, improved glucose metabolism and to reduce stress on your pancreas. For "maintenance" dosage is simple: Just take 1 capsule, twice daily. Again, always with food and a full cup of water. Usually morning and afternoon times are good. I'm currently on a blood sugar lowering drug and I want to stop using it, how? Many people who contact us want to go the "natural" way and not use drugs because of the numerous negative side-effects. 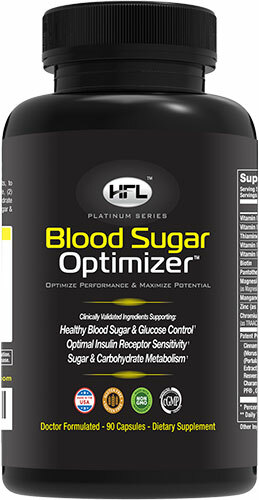 So they utilize Blood Sugar Optimizer™ because it's herbal and doesn't have the drug side-effects. Legally, ethically and morally we cannot tell you to stop using your medication(s), especially when it's something as important as controlling your blood sugar insulin levels. You should always speak to you doctor first, before making any changes to your current medications and dosages. Over the years we've had hundreds and thousands of people report back to us the success they've had by using Blood Sugar Optimizer™. Many people have stated that they required a lower dosage of their medications. To get started, you should first start by using Blood Sugar Optimizer™ and add it into your current supplementation program. Do NOT alter your medications in any way. Do NOT get off or lower the dosages. After using Blood Sugar Optimizer™ for about 3 months, you should do a blood test and see what the results are (glucose, blood sugar and/or A1C levels). Once you've seen and felt improvements, now you should speak to your doctor about lowering the dosage of your medications. There's no need to continue using higher dosages of medications, when your body is healing itself from within because of natural ingredients and a healthier life-style. Over time (this can be a few months or years depending on your genetics), your body will become stronger and over time you will be able to continue using a lower dosage of your medications. Eventually and hopefully, one day you may be able to get OFF of them completely, like so many other people who have improved their lifestyle. Again, always work WITH your doctor when making adjustments to your medications. One reason you should never abruptly stop taking your medications or do so quickly, is because most medications and drugs are "addictive" to the body and will cause a negative "rebound" effect. This means that if you get off of these drugs, your blood sugar levels will SHOOT UP to super high levels and this can be very dangerous and deadly. As you see improvements in your blood sugar and overall health, continue working with your doctor in reducing the dosage of your medications. Natural always has the answers, not the drug companies. Again, the above mentioned were reported cycles from some of our users. See what best suits your current lifestyle and goals, select ONE of the above sample cycles and get started. Nothing is set in stone and some times, you'll need "it" more than other times. So, feel free to experiment and see what works for YOU. And if all you need is just 1-2 pills daily, then GREAT ... save money and enjoy it!